Today there are about 3.5 million alpacas in the Andean highlands, most of which can be found in Peru. Since the major first importation into the U.S. in 1984, the North American herd has increased from a few alpacas in zoos and private collections to about 20,000. Alpacas are popular internationally for their luxury fiber and as pet, show, and investment animals in Canada, England, Australia, New Zealand, Poland, France, and Israel, as well as the United States. Male alpacas reach sexual maturity at about 2 1/2 years of age. Females are first bred at 16 - 20 months of age. 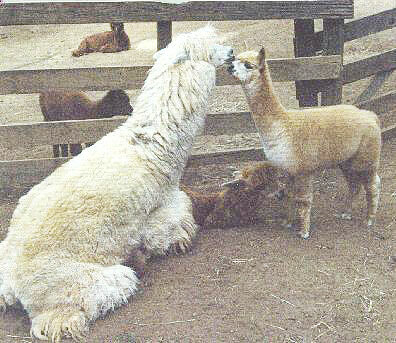 Like other South American camelids, alpacas do not have a heat (estrus) cycle and can be bred any time of the year. An average gestation of 335 days produces a single baby (cria) which is usually delivered from a standing position during daylight hours. Twinning is extremely rare and rarely compatible with life. While hardy and generally disease resistant, basic care of yearly vaccinations, worming, and regular toe and occasional dental care is recommended. Alpacas are shorn every 12 to 18 months to harvest their exquisite fleece, and for health and management purposes. The two coat or breed types are huacaya and suri. Both fleeces are soft and free of guard hair. Ninety-five (95%) percent of alpacas are huacaya, with full, puffy fleeces whose crimp or crinkle is found throughout their fleeces. The lustrous, straight fiber of the suri fleece hangs down in "dreadlocks", giving the suri alpaca an entirely different appearance. Fibers of both types are considered luxury fibers in the textile trade because of their unique qualities. Tuis or yearling alpacas provide the finest fleeces. 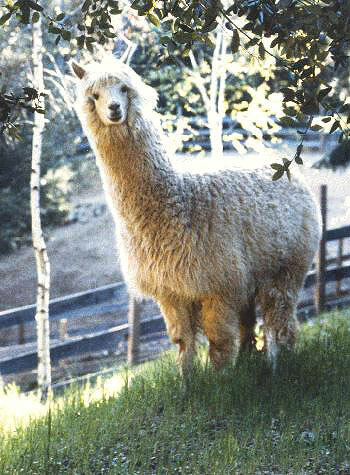 Depending upon its weight, quality, and cleanliness an alpaca fleece commands $150 - $400. 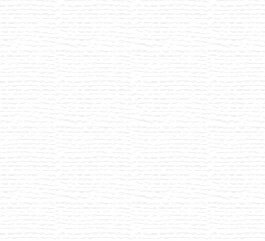 The eight basic colors are white, fawn, caramel (light brown), black, gray, brown (coffee), red, and piebald (colored blanket on a white body). Alpacas are shorn for their valuable fleeces. Their compact size contributes to easy management and to a desirability as a companion animal. Alpacas easily learn to lead, jump in and out of vehicles, kush (sit down), and obey other simple commands taught all domestic members of the camelid family. They are popular show animals. Alpacas can also be seen at fairs and fiber fests throughout North America. No other animal which produces fiber for textile use has such an enormous variety of colors. As in ancient days, alpacas are important to Andean herders, providing luxury fiber and meat. About 95% of North American alpacas are registered by The Alpaca Registry. DNA technology verifies lineages. Costs vary throughout the United States and Canada. For most of the 1990's the price structure for females ranged between $12,000 to $30,000. Pet quality males generally start at $1,500; top-end herdsires reached $90,000. As in other markets, alpaca prices are influenced by supply and demand and general economic conditions. Contact a local breeder for advice and pricing as it applies to your area.